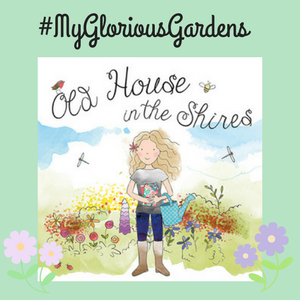 Hello everyone and welcome to the April #MyGloriousGardens Linky party! I hope you are enjoying your Easter weekend. Although it’s freezing cold here in Wiltshire, we have been busy creating our new wildlife pond and it’s almost finished! I haven’t written the blog post about it yet but I hope you enjoy the photograph. Now for the link up! I hope you can join in with this lovely community. Any posts about gardens, gardening, garden visits, outdoor visits…basically anything related with Glorious places! The linky will run for the first 2 week of the month and then I post a round up post towards the end of the month. You can read the March Round up here. If you are unsure how to link your post do read this post. 1. Link up to 3 posts when the party goes live at 8am on 1st April. It will be open for 2 weeks. 2. Tweet your post and tag oldhouseinthes1 for a retweet. 3. Read and comment on both of my posts and the post linked before yours. 4. Comment on as many other posts as you would like to to spread the linky love. 5. Add my badge to your post so I can see it on your post. This is below. 6. Come back at the end of the month to read my round up post. That’s it! Time to get linking. Click on the INLINKZ button just below. Tips for New Bloggers: Link Parties and which to join. Thanks for hosting. It’s my first time linking and I hope to find some garden inspiration! I know! Wasn’t Easter weekend cold? Thanks for hosting. I hope I have this link up right this time.